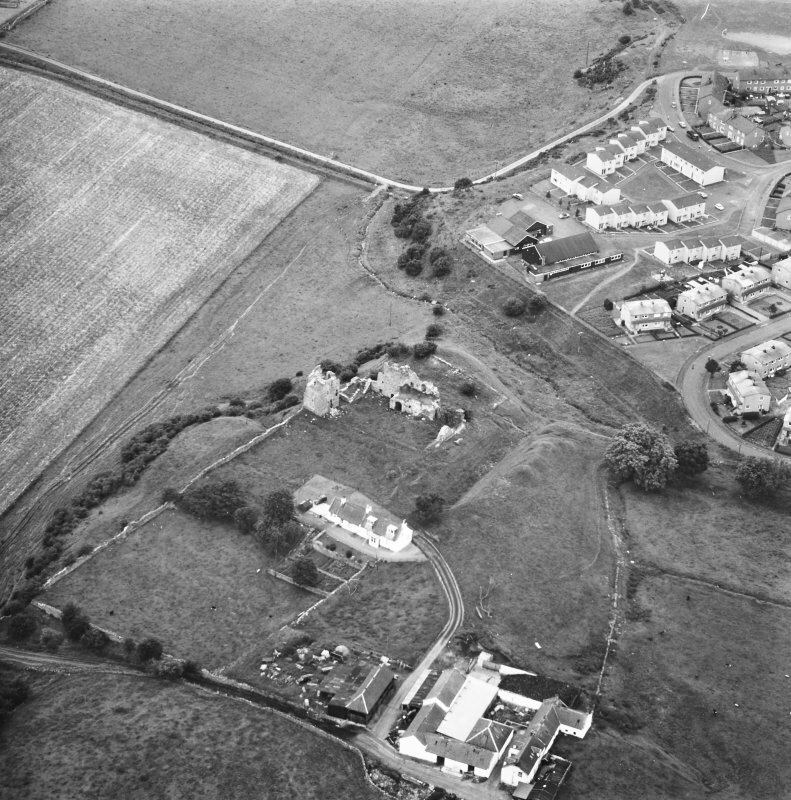 Oblique aerial view of Sanquhar Castle, looking S.
Oblique aerial view of Sanquhar Castle, looking NE. 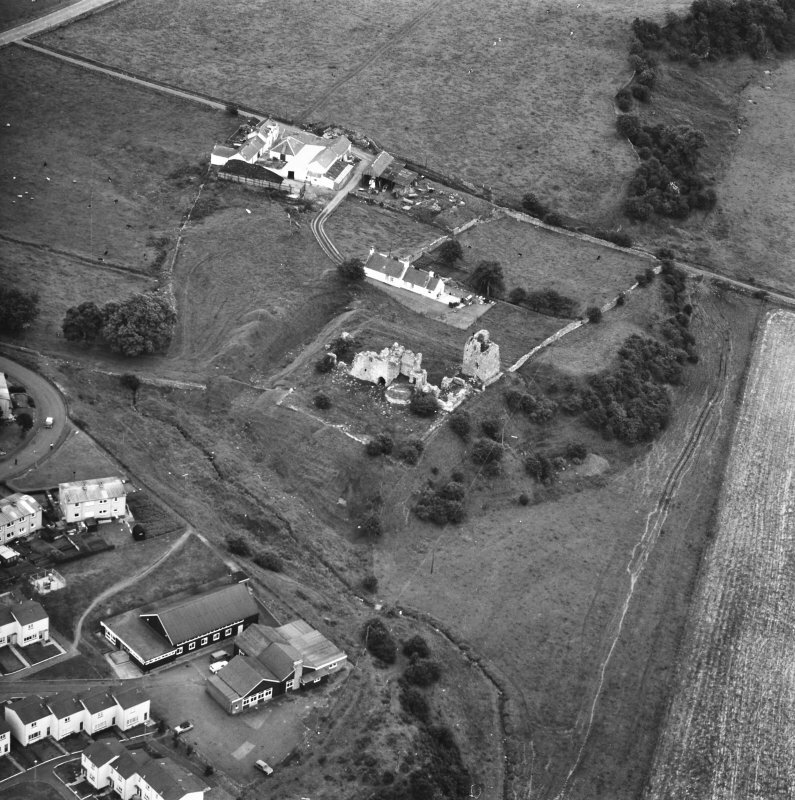 Oblique aerial view of Sanquhar Castle, looking E.
Oblique aerial view of Sanquhar Castle, looking ESE. 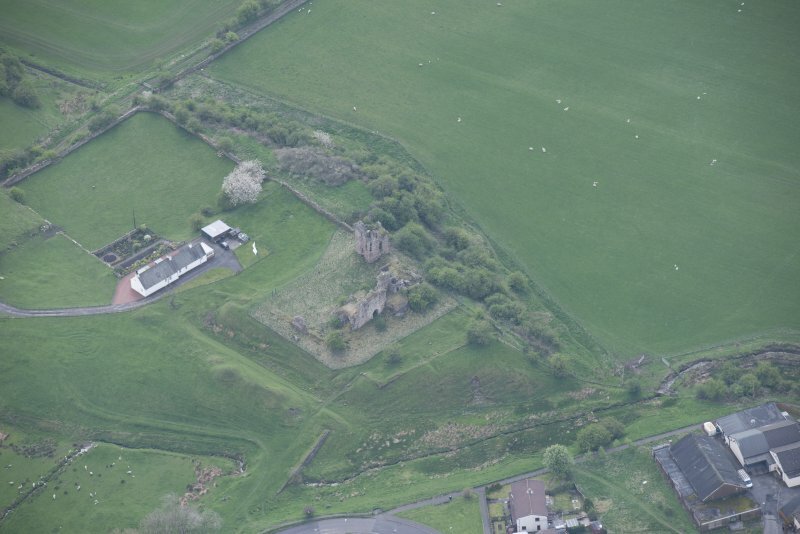 Oblique aerial view of Sanquhar Castle, looking SSW. 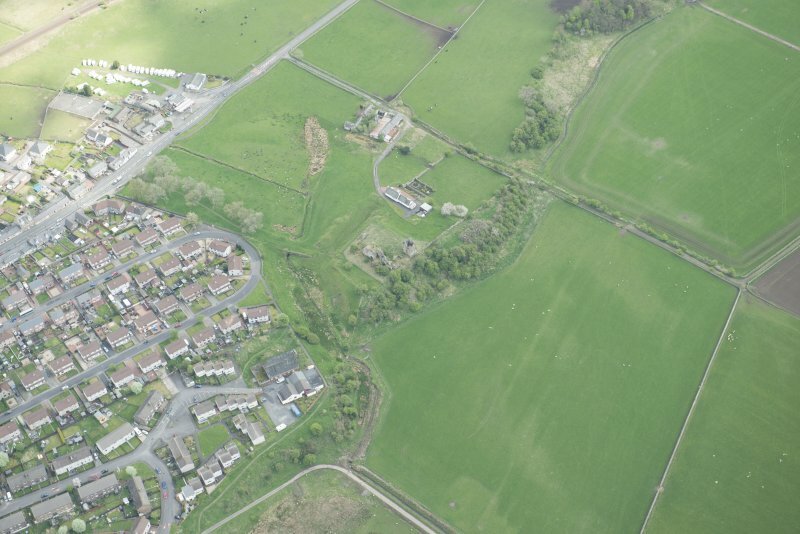 Oblique aerial view of Sanquhar Castle, looking NW. 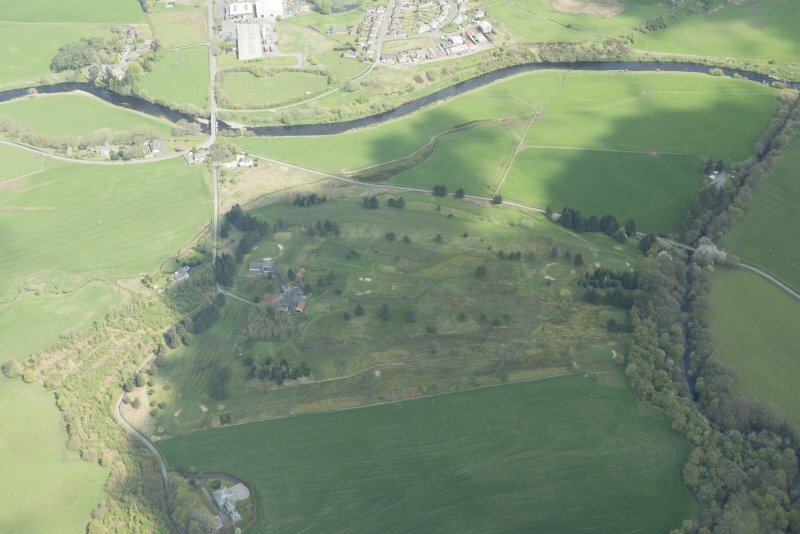 Oblique aerial view of Sanquhar Castle, looking W.
Oblique aerial view of Sanquhar Castle, looking N.
Sanquhar Castle occupies a good position with natural defences on all sides except the E, where it has been isolated by a ditch, almost obliterated on the SE but measuring some 40ft wide and 15ft deep, with a prominent counterscarp mound, on the NE where it seems to have been re-excavated by the Marquis of Bute about 1894. 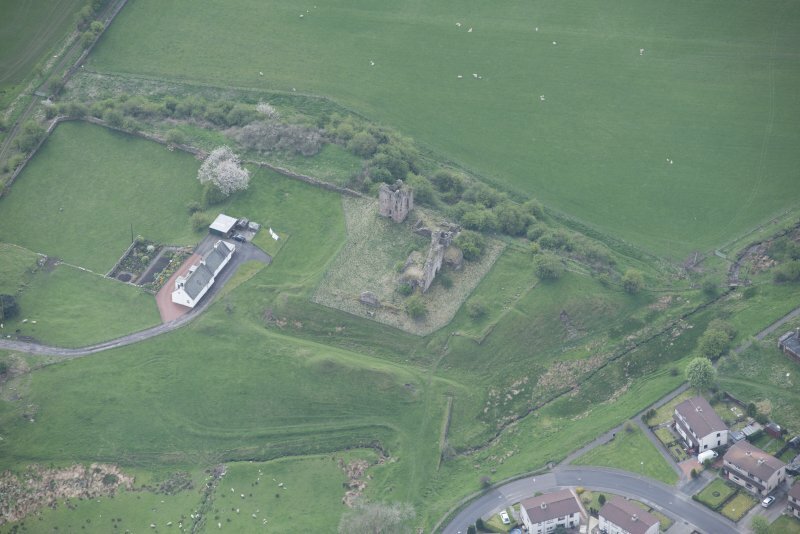 He also partly restored the ruins of the castle, which forms a rectangle, 120ft E-W by 65ft within curtain walls, which have had ranges of buildings attached on all four sides. 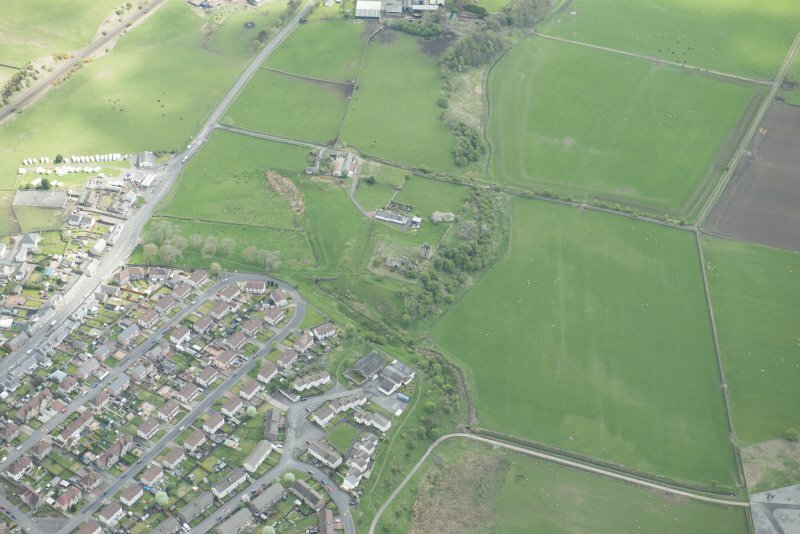 These are now extremely dilapidated. 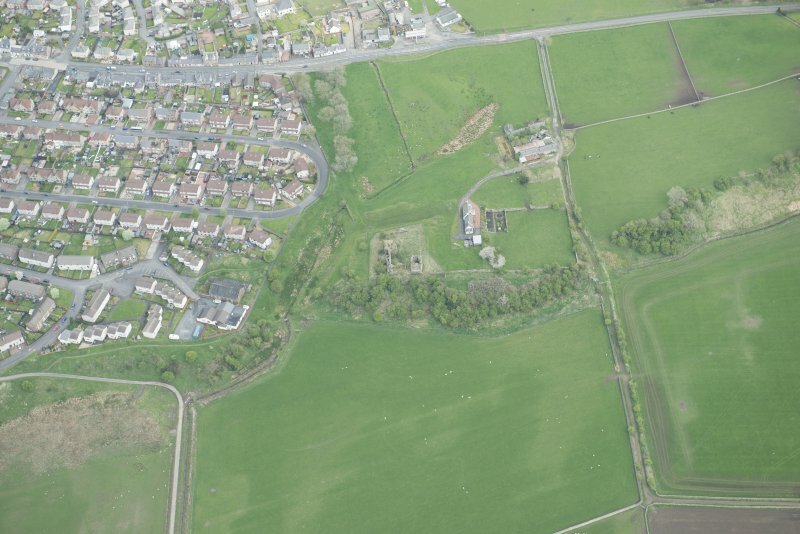 Five building periods are traceable, starting with the late 14th century tower in the S, which has been restored and stands four storeys high. 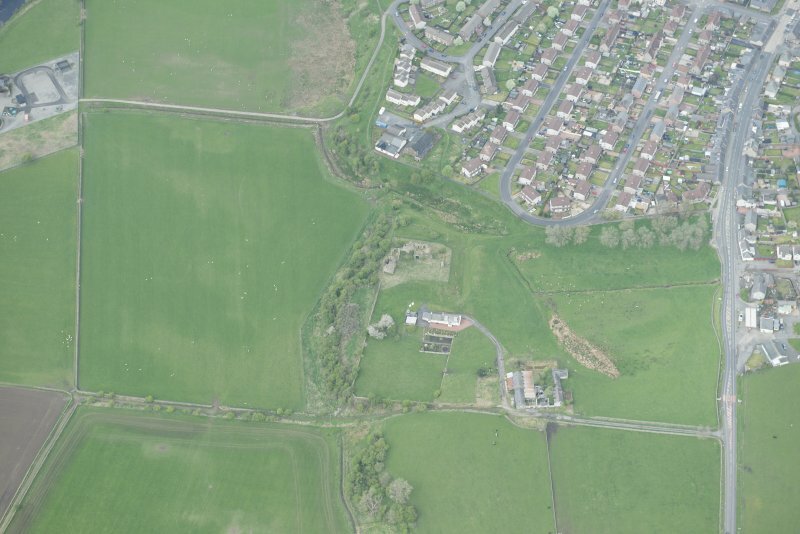 The NE curtain wall was built about 1400; the NW wall, tower house and drum tower were built about 1450. 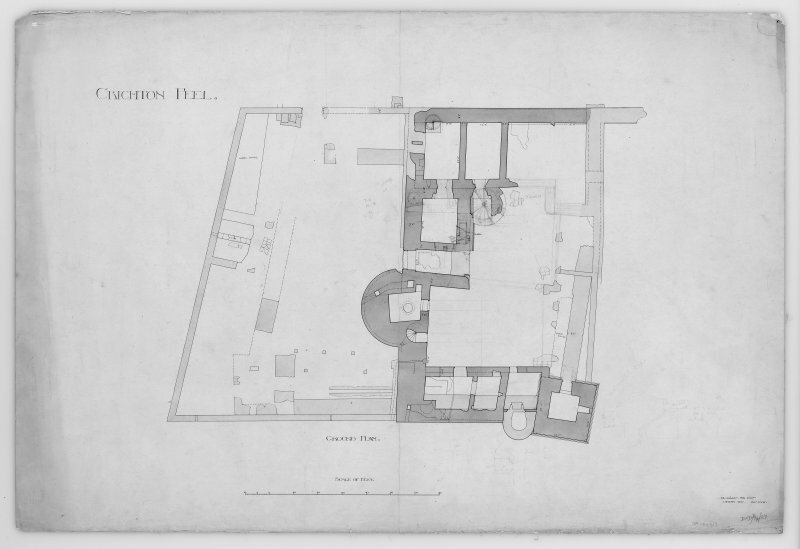 The W range of courtyard buildings dates to the 16th century. 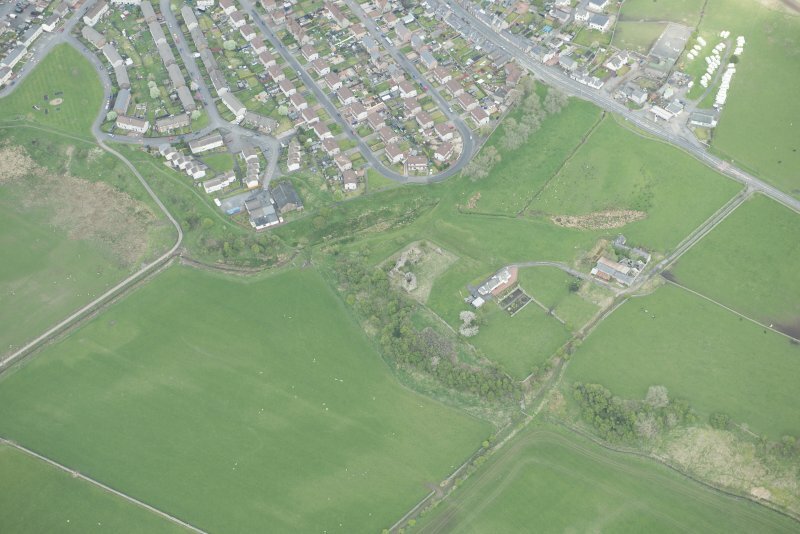 In front of the main castle is a large, trapezoidal outer court some 77ft by 118ft, enclosed by a 17th century rubble wall, with minor buildings against it on the NW and NE sides. 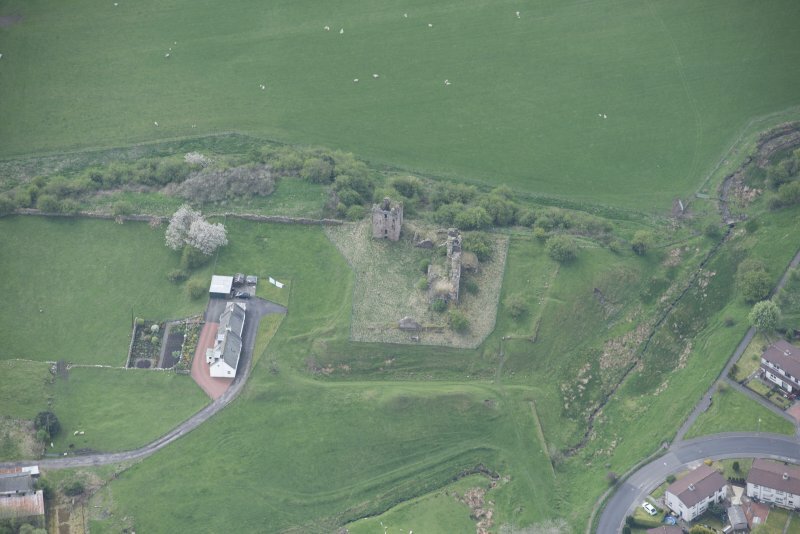 Sanquhar Castle is generally as planned and described. 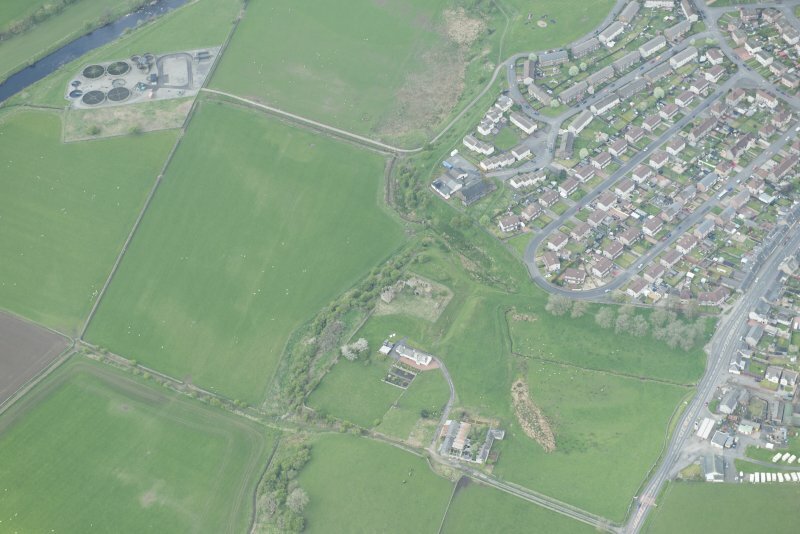 The surviving stonework is in a bad state of repair. 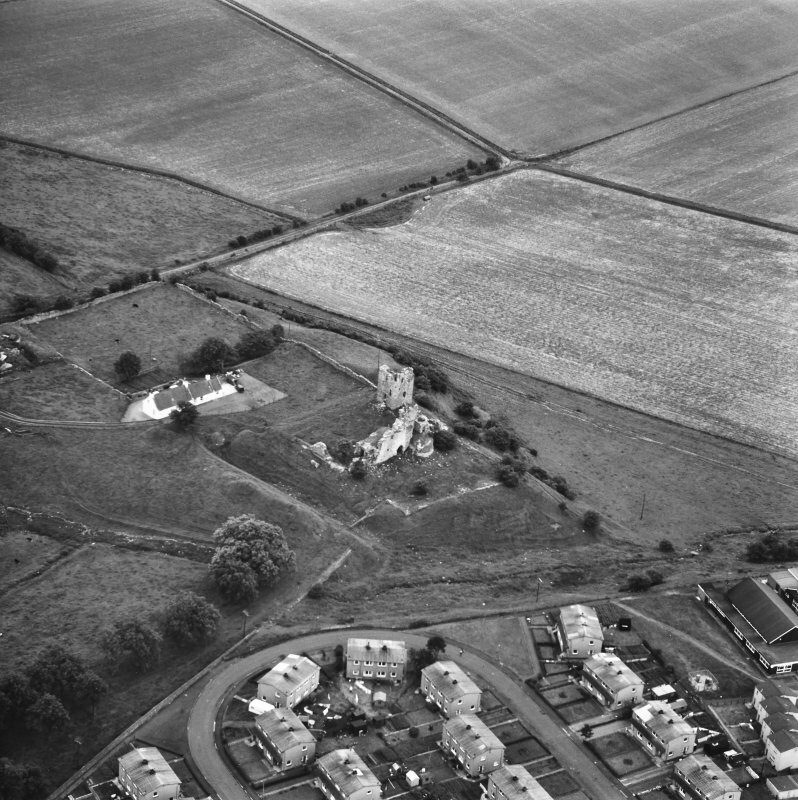 Visited by OS (JLD) 24 June 1954 and (BS) 5 April 1978.